The ureter is now identified, clipped, and divided. 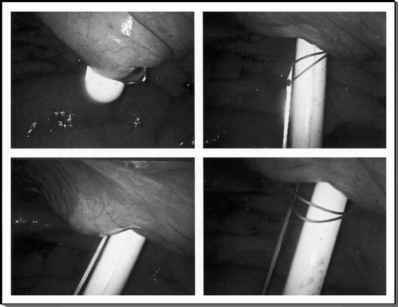 If a stent was placed preoperatively, the ureter is first incised longitudinally and the stent removed with right-angled graspers via the 5- to 12-mm port, prior to clipping and division. Division of the ureter should be the final step before specimen retrieval, because the relatively fixed position of the ureter allows it to be used as an anchor, which prevents rotation of the kidney during the final stages of the dissection. This significantly reduces operating time.